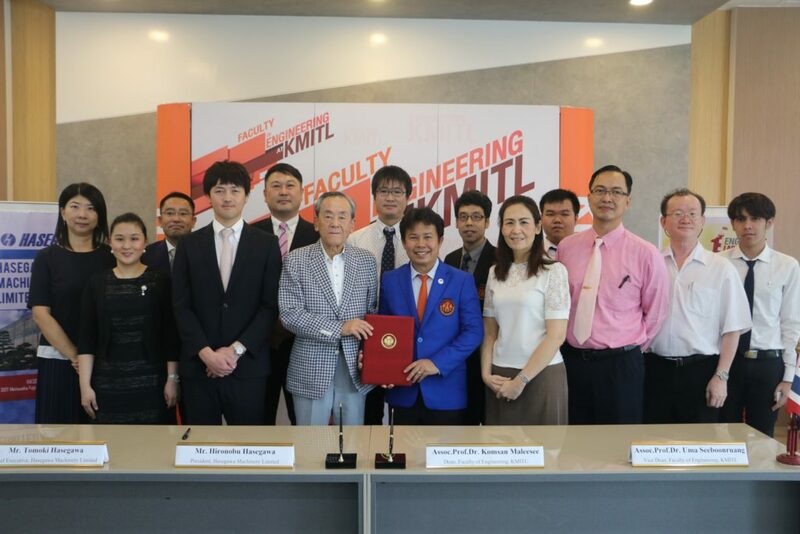 (January 18, 2019) Faculty of Engineering, KMITL, welcomed guests from Hasegawa Machinery company, Japan, to the MOA signing ceremony between the two parties. The Collaboration is about sending KMITL Engineering students to summer internships exchange program at Hasegawa Machinery, starting with 2 students in this up coming June 2019. And in the afternoon, the guests visited to Industrial Engineering and Robotics and AI laboratories as well.